The Haitian president said he met a high-level delegation of the UN, led by Jean-Pierre LACROIX, Under-Secretary-General for Peacekeeping Wednesday. They discussed the UN's engagement in Haiti. The withdrawal of MINUJUSTH is scheduled for October 15th, he added. 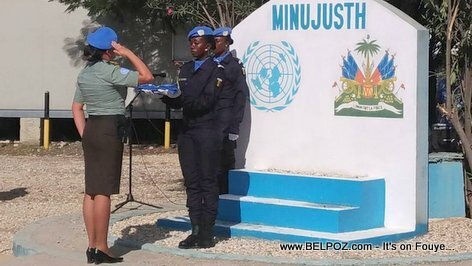 MINUJUSTH is a peacekeeping mission in Haiti mandated by the United Nations Security Council through Resolutions 2350 (2017) and 2410 (2018). This mission replaced MINUSTAH in Haiti.